Latest updates on 275 Albany Street Development Project. There has been quite few changes made by Boston Redevelopment Authority to the project led by Normandy Real Estate Partners. 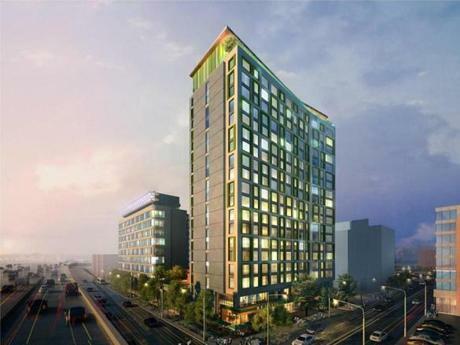 Initially, developers planned on building 2 hotels in the South End. However, due to the market demand the project transformed into one residential building and one hotel tower with a parking garage. However, last week BRA approved a different plan for this project. According to which, there will be build a 19-story building on Traveler Street that will offer 220 residential homes, and an 11-story building on East Berkeley Street that will accommodate up 180 units. The 275 Albany Street will certainly improve the residential area of the South End and will serve as "a buffer between the imposing hulk of the Southeast Expressway and the historic South End neighborhood."